Dating App + Social Network!!! WELCOME to Flock Dating. Join us! 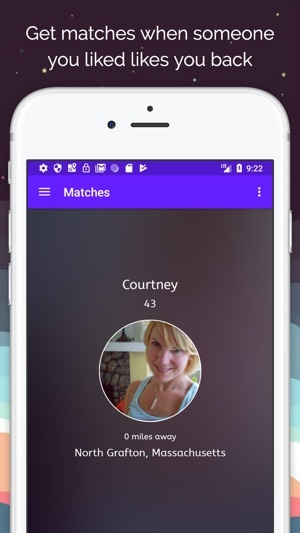 We ARE the dating app where you can buddy up with your friends and scope out the matches together! 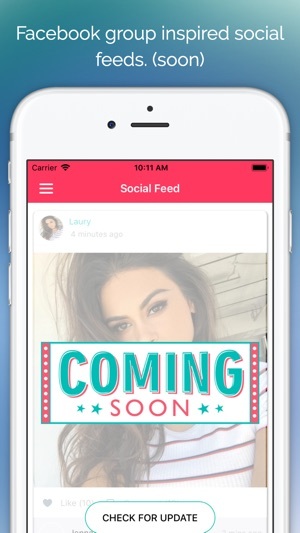 Hire professional matchmakers inside the app too (soon).. full social network features for dating. Forward profiles.. scammers blocked. Better app for finding someone real.. period. Help us fill the room. Download today! Here’s the honest truth; We are a small team of friends who all believed that the online dating scene could use an overhaul. We had heard far too often from our friends about the crappiness of current apps and how they work. Not to mention the issues with scammers, buggy apps, and hookup culture. So.. we decided that if we had the skill, then maybe we should do something about it and took the project on. 4 long years of development in our basements (literally) and this is it.. our masterpiece of blood sweat and tears. for you. At flock dating, we truly believe that being able to buddy up in a dating app is THE key to success. 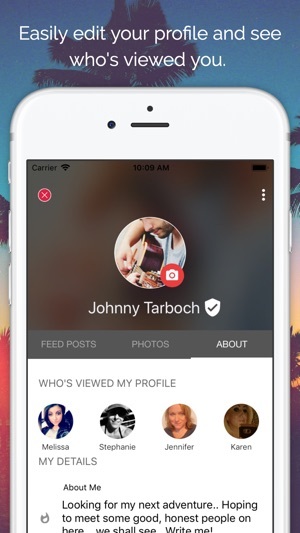 How many times have you shown a profile on XYZ dating app to a friend to see what they thought? That single act right there is what we based this whole thing off of. That's the basic guiding principle of this app. Friends.. community... helping each other. You'll love flock dating because it makes things less boring and less lonely. You'll love it because you can get input from friends on people they’re thinking of messaging, or who have messaged them. 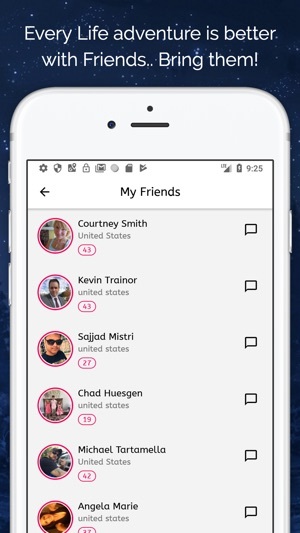 And soon we'll have endorsements enabled so you can write endorsements for friends..
Not to mention the ability to access professional matchmaker / dating coach services that can completely happen inside this app. WE WILL NOT FILL THIS APP WITH FAKE PROFILES LIKE ALL THE REST DO! we just cant.. wont do it.. So we need YOU to join RIGHT NOW. Don't even question it.. You've read this far.. just do it, set up your profile with some pictures, and see if you get any messages. You never know, right? It’s free, it’s sleek, it’s designed well, tested to the 9’s and is only going to get better. - We screen users and our AI kicks scammer fakes! So play cupid for your friends and be a matchmaker, or get help from friends inside the same app.. Or just use the app alone if you like. MARRIED FRIENDS NOTICE: Do you have married friends that are constantly looking over your shoulder while you peruse other dating apps? Do you think they’d love to be in the dating app with you, chatting, sharing, forwarding profiles? GREAT! Invite them too!. They can join with your invite code and remain completely anonymous and hidden. Totally safe.. only you will know they exist. One of the biggest problems with dating apps today is the number of fake profiles and shady individuals. Scams, Spammers.. etc.. are running rampant on these platforms. Not on our app!!!!!!! We work to geolocate everyone as soon as they sign up so we know if they’re coming from where they say they’re coming from. Trying to trick us and the real users of this app? Think again. TOTAL refresh of the app from start to finish. This is not the same app as it was. Totally cool concept. At first was like wait...what?!? Me on a dating app I'm married but once I realized I'm just helping my best friend out I was all in. It's been a blast helping him out and already picked out a couple matches that lead to dates..woo hoo!! Highly recommend all friends to be a winger and help their single friends...happiness all around! That's exactly it.. we wanted to bring friends into the mix to help as we feel they know us better than algorithms could! Great new concept a must download!!! Finally something new and very easy to use!! The concept of being able to bring friends into my dating experience as "wingers" is very original and creative. Highly recommend!! And it will keep getting easier to use as we refine the UI and fix various confusing areas.. thanks for the kind words! !